We are a family run company that believes in conservation and stewardship. We use the highest standards for viewing our wildlife. We try to minimize motor noise during our whale tours. Sonar producing whales, such as Killer Whales, Dolphins and Porpoise are particularly sensitive to boat motor noise and studies suggest that Whales change their behaviour and spend more energy travelling in high noise areas. Leigh has been working on the B.C. Coast for all his adult life. He has worked closely within the fishing and logging industries. 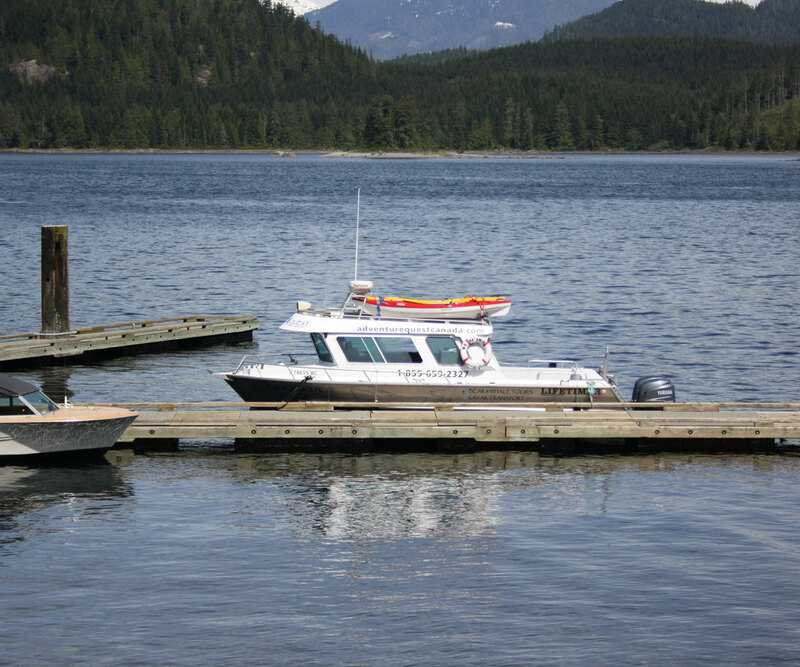 Leigh has extensive training in the Coastal environment as a float plane pilot and a small vessel captain. Let Leigh share his passion and respect for the BC coast and it’s vibrant history. Commercial Pilot’s License (2006), Aviation Radio License (current), Small Vessel Operator Proficiency (S.V.O.P), MED A3 – Marine Emergency Duties (current), Marine Basic First Aid (current), Standard First Aid (current), CPR C with AED (current), and MROC Marine Radio Operator’s Certificate (current). Kristin has been enjoying living on the Coast exploring the natural marine environment and all its squishy inhabitants to the fullest. As a High School Science teacher and Biologist, she believes in instilling respect and appreciation for the natural world and the amazing creatures with whom we share our planet. As a former DFO (Department of Fisheries and Oceans) Biologist and Avian Ecology Researcher, she brings a unique perspective to our crew. Kristin is able to point out many unique organisms and animal behaviour that you might miss on other tours. Bachelors of Science (BSc.) in Biology with a Minor in Microbiology with Distinction, and a Bachelors of Education (BEd.) with Distinction from the University of Victoria, Marine Mammal and Temperate Rainforest Ecology Specialization (BMS), Bird Banding and Identification Specialization.